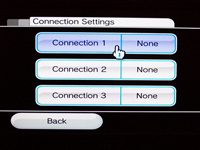 Connect your Wii to a wireless network to play against online gamers around the world or locally. Using the Wii and your wireless network, you can also browse the Internet, share pictures, chat with friends, or read e-mail. All you need to get started is a wireless access point. 1Turn off all your network equipment (modem and router), as well as the Wii. Leave all equipment off for a couple of minutes. 2Turn on your modem and router. Make sure that your wireless router is connected to the Internet and broadcasting a signal. Use a PC to ensure that all router settings are complete before turning on the Wii. 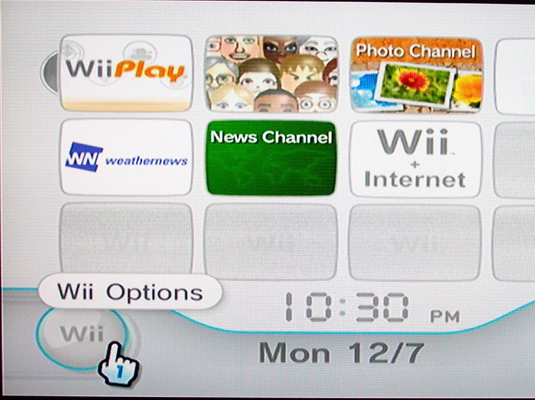 3Select Wii Options on the Wii's Main Menu. The Wii System Settings menu will appear. 4Select Wii Settings and then select Internet. The Internet option is on the second page of the menu. 5Select Connections Settings. Select Connection 1. If Connection 1 has already been configured, choose the first empty connection slot. 6Choose Wireless Connection and then Search for an Access Point. If you’re router uses AOSS technology you’ll need to select the AOSS option and enter the settings manually. 7Select your SSID from the available access points. If you’re not sure what your SSID is, ask the person who set up your router. 8Enter any necessary security key. And click OK. If you’re network doesn’t require a password, skip to Step 10. If you’re not sure what the security key is, ask the person who set up the network initially. 9Enter your password again to confirm and click OK.
Once the settings are stored, you’ll see the Connection 1 menu again. Your Wii will attempt to connect to the Internet. 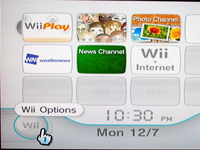 When the Internet connection is established, the Wii will ask whether you want to update your system. 11Choose whether to run a Wii system update. 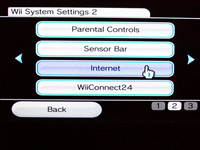 Regardless of whether you run the update or not your Wii is now connected to the wireless network.